How does global pharma company Amgen tackle safety and pharmacovigilance? Pharmacovigilance is extremely important for every pharmaceutical company. This month is our safety and pharmacovigilance focus, so pharmaphorum’s Hannah Blake interviewed Amgen’s Vice President of Global Regulatory Affairs and Safety, Alan Morrison, to find out Amgen’s strategy when it comes to this global issue. Amgen has been a biotechnology pioneer since 1980. The global pharma company’s ongoing mission is “to serve patients” and one way to complete this mission is by keeping up-to-date with the latest drug safety information. However, pharmacovigilance is a big challenge, not just for Amgen, but for all pharma companies. This is mainly due to the ever-evolving legal requirements that pharmacovigilance teams have to comply with when reporting local and international adverse events. To find out first-hand how pharma tackles safety and pharmacovigilance, we speak with Alan Morrison, who is Amgen’s Vice President of Global Regulatory Affairs and Safety. Alan shares some of the most innovative approaches to pharmacovigilance and lifecycle management that he has seen. Alan also gives his opinion on what’s next when it comes to supporting innovation and regulation of new medicines. HB: Alan, thanks for taking part in this interview. Can you please tell us a bit about your current role at Amgen? AM: I am Vice President in our Global Regulatory Affairs and Safety organisation with international leadership responsibility for Amgen’s regulatory and safety teams outside the United States. As well as organisation leadership, I advise teams on regulatory and safety strategies for the commercialisation of development programs and lifecycle management of commercial products. HB: What are the pharma industry’s key challenges concerning global drug safety and pharmacovigilance? AM: I think most companies in the industry would echo that the resource, skills and expertise requirements to support implementation of the new EU pharmacovigilance legislation have been a challenge. We have all had to reengineer processes, maybe enhance systems, change aspects of internal governance, etc. as well as familiarise ourselves with the workings of new regulatory committees with new procedures such as PRAC, whilst at all times staying absolutely focused on patient safety. We have now started to see updated versions of some of the first GVP modules that were released last July, with more updates to come during this year (PSUR and Adverse Reactions modules, for example) and there are still new modules (public participation in pharmacovigilance; continuous pharmacovigilance; risk-minimisation measures) to be released later this year. So with this in mind, I think it is fair to say the industry will continue to face the challenges of undergoing innovation and change whilst ensuring continuous compliance and operational efficiency. The most successful companies will be those who rightly make this a high priority and get ahead of the curve. HB: Are there any differences in these challenges in the UK compared with the rest of the world? AM: Well, we do not yet have complete harmonisation across every member state within the EU and we continue to see a variety of different transitional requirements in each country. The UK currently has some additional reporting requirements compared to most other EU countries, for example the MHRA requirement for expedited submission of non-EU serious cases. Another UK consideration is that MHRA has a risk-based approach to inspections and, for innovative companies, potentially this could lead to higher risk assessment scores and more frequent inspections as a result. Where a higher risk rating is awarded to a particular Marketing Authorisation Holder (MAH), ensuring inspection readiness is therefore a key priority more than ever for such UK MAH’s. In the UK right now, we are also in the process of transitioning from the MHRA Black Triangle Scheme to the new EU Additional Monitoring Scheme, so that is inevitably a focus for companies and requires updates to the SPC and other product materials accordingly. HB: Can you tell us a bit about the new MHRA guidelines, and how the expanded responsibilities of MHRA will benefit its stakeholders? AM: Recent MHRA changes have included the incorporation of the CPRD (Clinical Practice Research Datalink) and NIBSC (National Institute for Biological Standards and Control) and MHRA have commented that the expanded structure in expertise terms should permit deeper, broader and earlier scientific and regulatory advice, which I would agree with. HB: How does Amgen tackle safety and pharmacovigilance? AM: Amgen puts patient safety first and this is embedded within all of our safety and pharmacovigilance practices. We continuously evaluate the safety profile of all of our molecules and ensure proactive risk management and effective communication throughout their lifecycles. We ensure that we maintain compliance with regulatory obligations globally whilst at the same time paying close attention to the rapidly evolving external pharmacovigilance environment and participating in helping to shape that environment. For myself and all of us at Amgen, the priority is to maintain absolute focus on putting patient safety first whilst at the same time implementing new legislation as it emerges and remaining inspection ready at all times. HB: What is the role of digital technology and social media, when it comes to drug safety operations? AM: Clearly this is a continuing and important trend; such media are increasingly used by the pharma industry to raise awareness about diseases or to communicate with patients, for example in patient support programs. However, with these communication methods there is also clearly enhanced scope for direct reporting of adverse events and as such all companies must respond and be diligent in screening all such digital media under their control in accordance with the new guidance (GVP VI). I would also highlight that the ABPI has also very recently published guidance notes on this for the UK pharma industry which provides an additional level of best practice on top of this guidance. HB: How important is observational research in drug safety? AM: Clinical trials can be limited in the number of patients involved and thus their ability to detect potential rare safety events that may be associated with a product’s use in real-world settings can be limited. Observational research plays a critical role in product stewardship in this regard as it provides a framework for continuous safety evaluation in the marketplace beyond approval. Observational studies typically involve large numbers of patients from routine clinical practice and represent a wider range of general health and disease severity. As such, observational research provides an important means for pharma companies to assess the effectiveness and proper use of medicinal products and bridge the gap from experimentation to clinical practice. Observational research is critical to the assessment of drug safety and to assist with identifying potential changes to the drug’s benefit:risk profile. HB: What innovative approaches to pharmacovigilance and lifecycle management have you seen? AM: As we continue to operationalise the new EU requirements – and as they continue to evolve – the pharma industry will naturally innovate many of the ways we conduct our business and processes. The degree of innovation will determine which companies are successful; the winners will be those who achieve excellence in pharmacovigilance and manage to do so in a truly operationally effective and efficient manner – there is no doubt some way to go for us all. 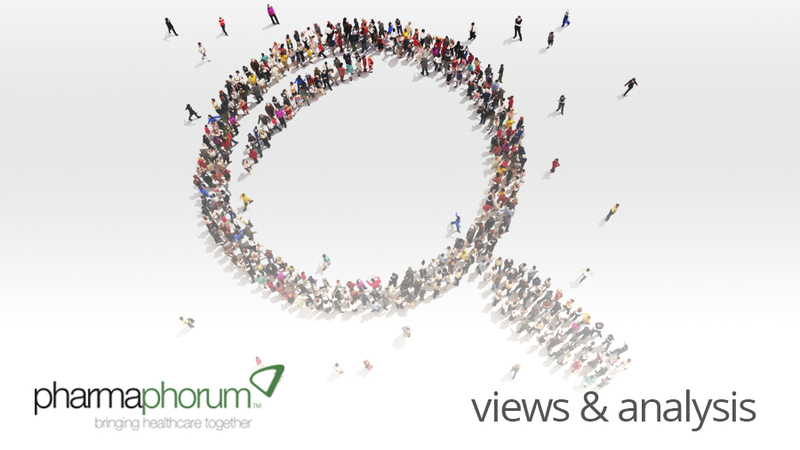 HB: In your opinion, what’s next when it comes to supporting innovation and regulation of new medicines? AM: The landscape is very dynamic; adaptive licensing, personalised medicines, clinical trial data transparency, biosimilars… to name just a few. These will of course present regulatory and pharmacovigilance challenges for us all in the pharma industry, but equally these are very exciting times to be in the industry. HB: Thank you for your time, Alan. Alan Morrison, Vice President, leads Amgen’s International Regulatory Affairs & Safety functions of approx. 300 staff both in the UK and across more than 30 local affiliate offices worldwide. As well as part of the Global Regulatory Affairs & Safety leadership, Alan is also key member of Amgen’s cross-functional European and other international management teams, which set and guide the overall strategic direction for Amgen’s business outside the United States. Alan joined Amgen in 2004, having previously held a number of regulatory affairs and safety positions at a number of companies including Baxter Bioscience. Alan is currently Chairman of the BioIndustry Association’s Regulatory Affairs Group and acting on a number of trade association committees related to biotechnology / biopharmaceuticals. What innovative approaches to pharmacovigilance have you seen in the pharma industry?